If the idea of travelling for a living appeals to you and you love driving, the role of a train driver may be the job for you. A train driver operates passenger and freight trains both locally and nationally and drives them on predetermined routes. They may also work on engineering projects as a driver. 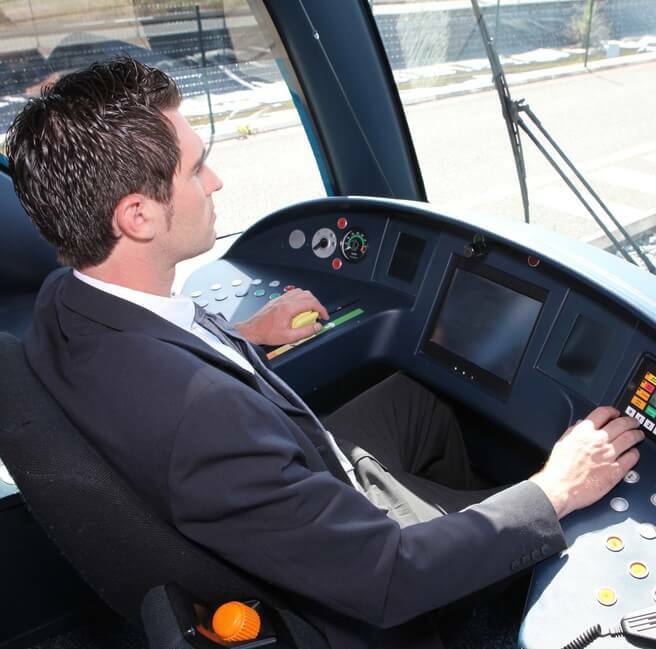 A train driver may work in a variety of environments, from national rail to Tube train driving. What are the responsibilities of a train driver? I liked the challenge. Every day was different, as the seasons changed. Winter snow, rain, fog, the autumn. And getting to a destination on time, knowing you were delivering. What are the key skills required by a train driver? There are also a number of physical standards which applicants must meet in order to qualify for the role. Train drivers need good eyesight including full colour vision and though glasses are permitted, only mild visual correction is acceptable. Train drivers must also meet a required level of hearing, although mild natural deterioration generally does not stand against applicants. Train companies tend to set their own limits regarding height and fitness, but usually a train driver must be between 5’2” and 6’4” in order to fit the control desk within the train cab. For an entry level train driver, a BMI of more than 28 is inadvisable, though exceptions are made. Any history of blackouts, insulin-dependent diabetes or epilepsy will disqualify candidates immediately. General physical guidelines required to become a train driver are available online. For more detailed information regarding eyesight, hearing and fitness restrictions, investigate the company to which you are applying. Train drivers also need to live within an hour of the depot from which they are working. What qualifications does a train driver require? As suitability for the role is determined by extensive tests conducted by the train company, formal qualifications are not essential. Most train companies require a minimum of a C grade in GCSE English and maths to become a train driver. If a trainee has knowledge of mechanics or electrics, this is advantageous but not necessary. Because of the highly skilled nature of the role, the majority of train companies only hire trainees of 21 years or over. A few companies such as Arriva allow applicants that are 20 years and 6 months old to take into consideration the lengthy hiring process. What are the prospects and salary of a train driver? The role of train driver is well paid. Trainees can expect a salary of roughly £24,000 for the year of their apprenticeship and the average salary of a train driver – £44,503 – is well above the national average salary of £32,708. 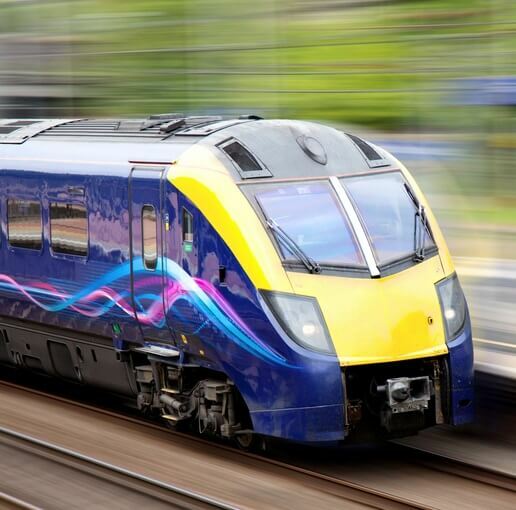 Do I need relevant work experience to become a train driver? Due to the highly competitive nature of the role, applicants are advised to secure some work experience first in order to demonstrate their commitment to becoming a train driver. Experience in any job related to the rail industry is valued – getting a job at the ticket office or as a rail host or conductor is an ideal first step towards becoming a train driver. Once hired, experience is vital – candidates cannot progress to the next stage of their training without accumulating enough hours. Typically a train driver must have 200 to 300 hours of experience (one third of which must be in the dark) before they are allowed to drive a train without an instructor. Is the role of a train driver right for me? There are both pros and cons involved in the role of a train driver. Train drivers (and Tube drivers especially) have to be prepared for the event of suicides, to such an extent that this is now a mandatory part of Tube driver training. Although counselling, sick leave and staged returns are provided in order to facilitate employee recovery, often the PTSD ends the driver’s career.